This week, we’re introducing the Athletics Club. They’re a wide group of athletes who focus on track and field events, and who all have different abilities and backgrounds. I spoke to their Captain, San, about the society. If you’re looking to try something new next semester, why not give them a try? “We’re a really close-knit group of athletes — we’ve got people ranging from beginners to national level. We’re also a really sociable group, and we love to do things together like AU nights, house parties, and other outings. Some people just turn up for the socials!” he laughs. So, what does a typical training session consist of? Given that it’s relatively out of the way for Fallowfield students, you can often grab a lift with some of the other members. You’ll meet, and often have a bit of a chat, and do a lap or two. This is followed by stretches and drills. Once you’ve put on your spikes, respective groups will split off and start training. Throwing events have their own specialised coach, but are still part of the same club and still represent the university. San, a fourth year engineer, first joined athletics in first year. He hadn’t done athletics much before university, but decided that when he arrived he wanted to focus on it, as he’d always had a passion for athletics. It’s also a really active club, with all their own events and competitions, and is brilliant for getting people back into the sport. As for being club captain? In terms of competitions, the Athletics Club participate all year round. The Manchester Cup has just taken place, beating 13 other universities to a great win for the club, despite it being their first time hosting. 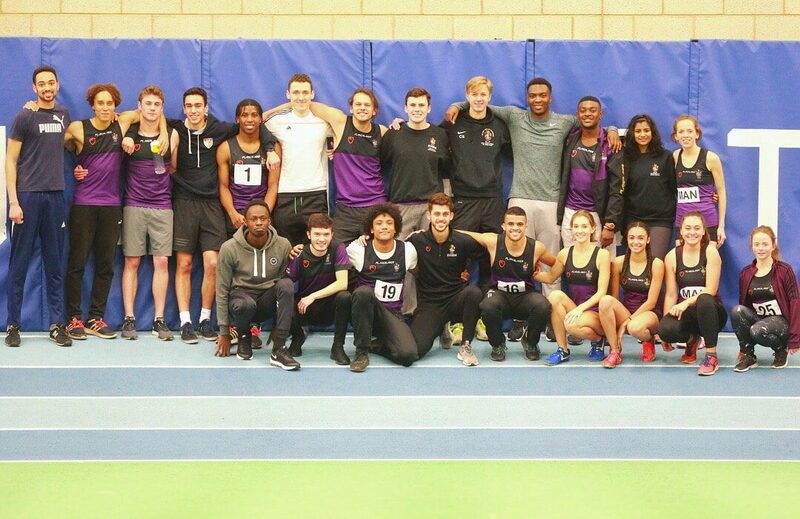 Coming up, there is an open meet on the 16th of December, and a team meet on the 30th of January in Sheffield, where they go as a team for track and field events. There’s also the BUCS championship in Sheffield from the 15th-17th of February, but in order to be able to compete in this you’ll need to have a time, so the non-BUCS events coming up are the perfect place to get this! If you’re looking to carry on with athletics over the winter, lots of the club’s members are also members of the Sale Harriers, a local club that hosts open meetings that are inclusive to all. These run all through winter, if you fancy braving the bitter Manchester cold! Looking to the future, the club wants to increase their membership, and put on even more socials and events. They’re also trying to make the club more inclusive to more abilities, and make sure that everyone involved is brought closer together, all sharing their passion for athletics. The absolute moments not to miss this year are the indoor BUCS competition, all of their Wednesday AU socials, and their house parties. The outdoor BUCS competition coming up later in the year will also be a great event if you’re looking to compete. If you want to give the Athletics Club a go, message one of the captains or join the Facebook group. Or, even better, turn up to one of their socials.